The Doctors have requested that our reception staff ask you for a brief reason for your appointment. This is to assist you in accessing the most appropriate service. They will also ask you for your preferred contact number. If appropriate you will be given an appointment with a Nurse Practitioner. We do appreciate the difficulties patients face in the current climate when all our available appointments have been taken. We would kindly ask you to consider other options recommended such as GP appointments at the extended hours service at Bath Street, Widnes walk-in centre, your local pharmacy and Bath Street Wellbeing Centre for family planning and sexual health. The receptionists will have details regarding these servcies. I would remind you that we provide 4 extended hours clinics each week on Monday and Wednesday until 8.30 in the evening. You can also access a range of services including booking appointments online. Details of our Practice Nurse Services are available in the following link Services Delivered by our Practice Nurses . 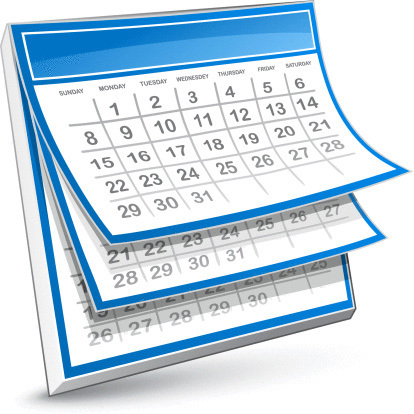 Remember that Nurse appointments can be booked up to 4 weeks ahead and are not released daily like GP appointments. If you are booking a Nurse appointment we suggest you phone after 10am when demand is less. Due to the increased number of appointments being booked online and to ensure that all our patients have the opportunity to book appointments by whichever means they choose i.e. in person, phone, internet we have had to reserve some slots for each GP that will be used by the receptionist for those patients booking either in person or by telephone. As booking on the internet is quicker and does not involve personal interaction it was found that patients attending or phoning were being disadvantaged by being unable to secure an appointment. In common with most surgeries in the country, we use an appointment system. The reason for having an appointment system is to ensure that the best possible use is made of your time and the doctors’ time. The majority of GP appointments are ‘book within 24hrs'and available from 08:30. These can be booked over the telephone by ringing 01925 725644 and selecting option 1, in person at the surgery or online via the above link. At 08:30 each day there will be appointments available for the same afternoon and the following morning (i.e. on Tuesday morning there will be appointments available for Tuesday afternoon and Wednesday morning). Following requests from patients we have extended the routine pre-bookable appointments available up to 7days prior to the appointment time. These will be the first few appointments of each day and the extended hour’s appointments from 18:30 – 20:30 on a Monday and Wednesday. SystmOnline appointments will become available from 07:30am on the day and 7 days ahead to help those patients who need to travel to and from work/school. If your condition is urgent and you can't wait for a routine appointment one of the doctors is on duty each weekday to cater for such emergencies. They are also on-call for emergency home visits. Please note it is vital that the doctor is given accurate details of your symptoms and the receptionist will ask for this information. This ensures he/she can prioritise those patients who need to be seen immediately because they have serious symptoms. If your GP asks you to book a follow up appointment within a specified time frame he/she will make a note on your medical record that the receptionist can refer to when you next book an appointment. If you wish to see a specific practitioner, you should specify this when you make your appointment. Doing so may affect the time when an appointment can be given. Due to the demand for GP appointments and the impact of wasted appointments when patients do not attend, you may book only one appointment with any GP at one time. Further appointments with any GP cannot be booked until the existing one has been attended (or cancelled). When you arrive for your appointment the practice uses an automatic booking-in system that reduces the waiting time to book in. Please endeavour to use this simple system but in any case of difficulty there is always a receptionist available at the counter. An appointment is for the patient for whom it was made and for that person alone. It is not appropriate to request an impromptu consultation for others who may have accompanied you to your appointment. Punctuality is of the utmost importance. Please make every effort to attend at the appointment time as this facilitates the smooth running of the surgery for all concerned. The doctors will endeavour to ensure that you are seen at (or as close as possible to) the appointment time. Sometimes you may be seen slightly later than arranged, as the enormous variety of problems presenting to a doctor is unpredictable and is not always amenable to a strict timetable. However, you should note that if you are late the doctor may not be able to see you and you will be asked to rebook your appointment. If you need to speak to a doctor by telephone during working hours, you should ring the practice and tell them who you wish to speak to and the subject matter. This will be passed to the clinician involved who will in appropriate circumstances return the call. This will be outside surgery times and the exact time of the call cannot be guaranteed. If you find that you will not be able to attend for your appointment, you should make sure that you inform the surgery. Please try to do this with more than one hour’s notice. If you do so, your appointment can be given to someone else. We have a dedicated line for this: please telephone (01925) 725644 and press 2. (This line is only available on weekdays between 08:00 and 18:00. Patients who do not attend cost the practice about 50 appointments per week; that equates to three doctors' surgeries each week.